Christina Loewen and her daughter Scarlett live in a small town in British Columbia, Canada. 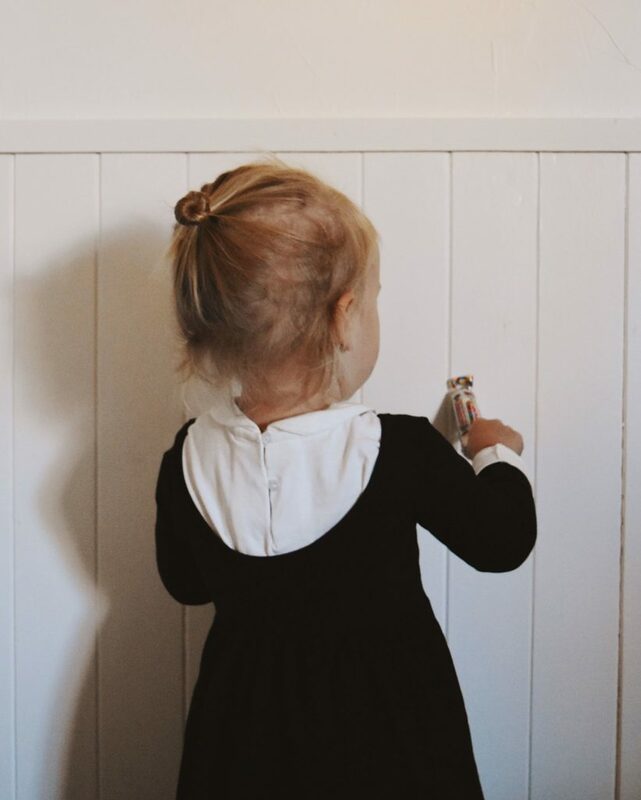 Christina is a photographer and a blogger and shares her photos on her blog (The Scarlett Door) and her Instagram feed (@christinaloewen) with her daughter as her muse. She is passionate about capturing and writing about the beauty of motherhood and loves to share her work through her social media platforms. 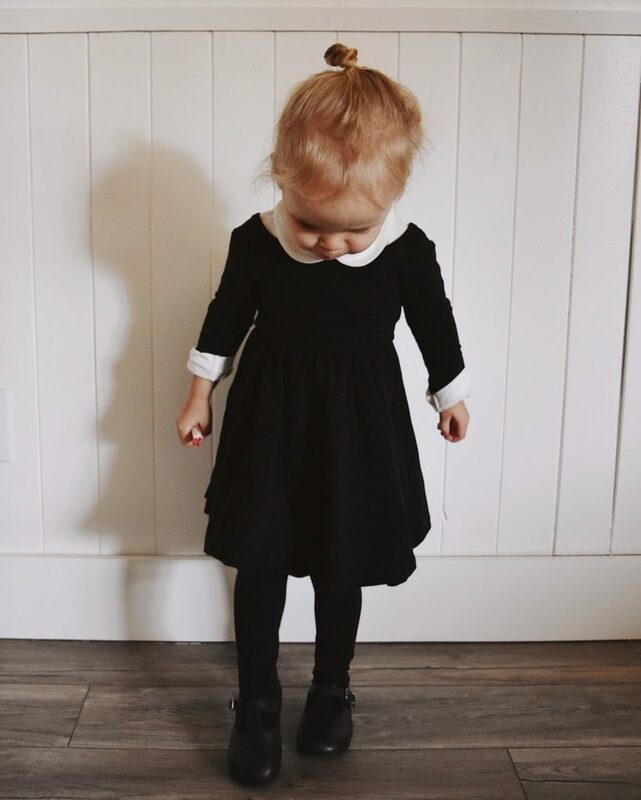 "Scarlett is only two years old but she is passionate about learning all about the world around her. 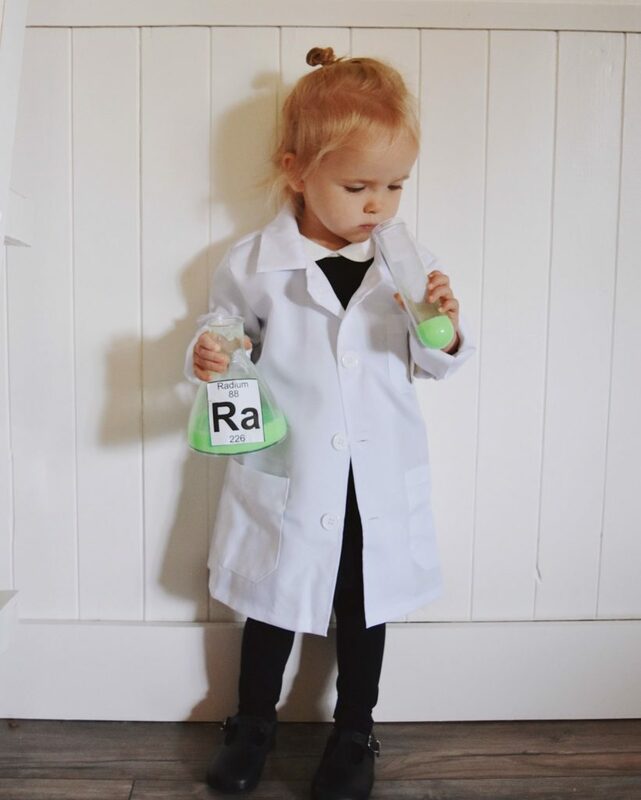 I was inspired to create this costume for her by her latest interest in science. 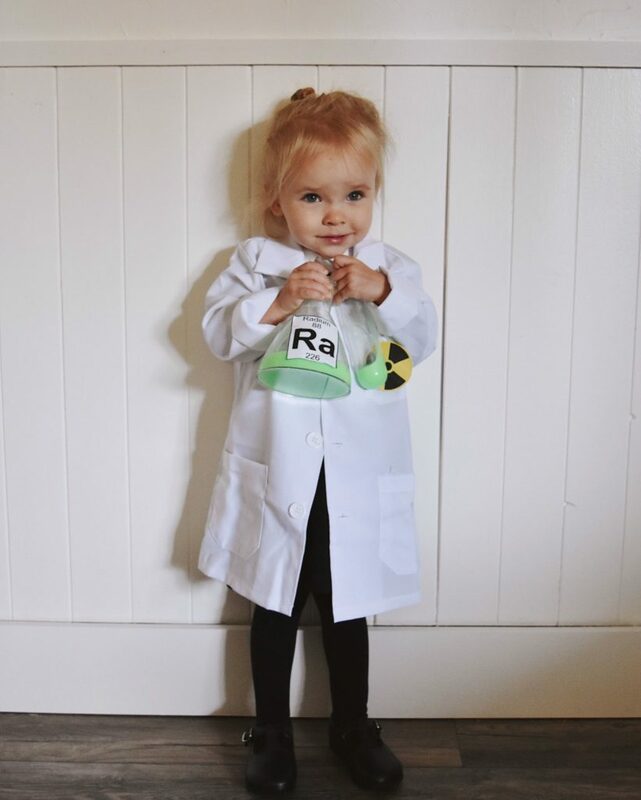 Scarlett loves creating her own concoctions so I thought that Marie Curie would be a fun historical "smartie" for Scarlett to dress up as this Halloween. Marie Curie was quite an amazing woman in the field of science as she discovered the elements Polonium and Radium and won two Nobel Prizes." Your favourite candy for snacking! 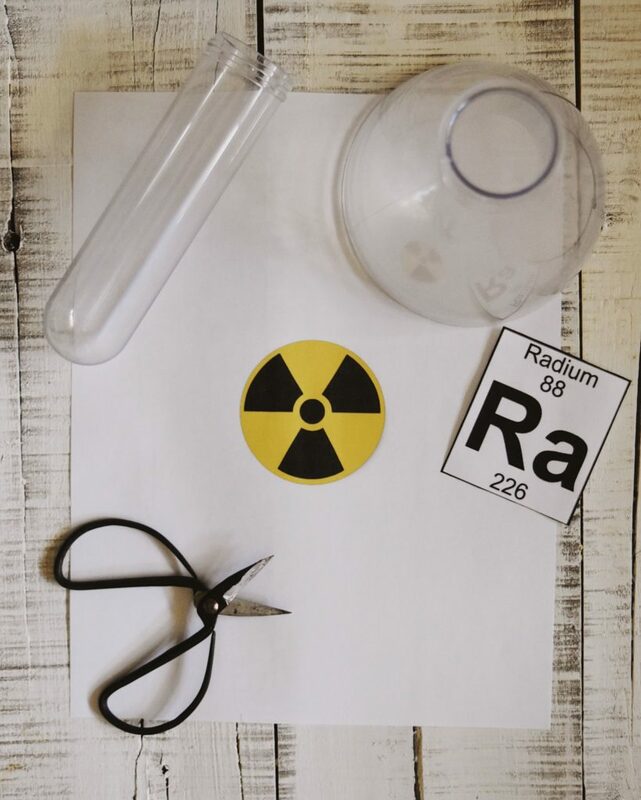 - Print out the radioactive warning symbol and the symbol for the element radium. Both of these can easily be found through google images. 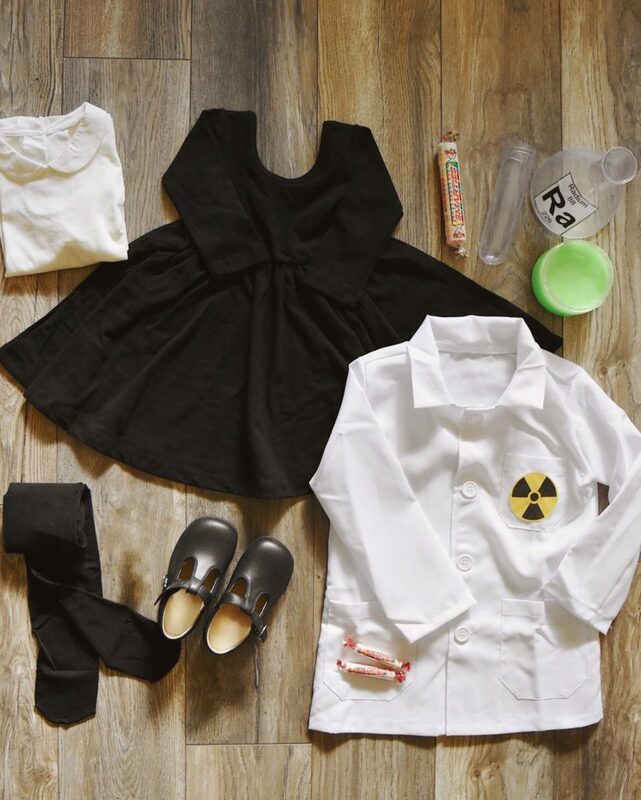 - Cut them out and, using double-sided tape, attach the radioactive warning symbol to a pocket on the lab coat and the radium cut-out to the beaker. 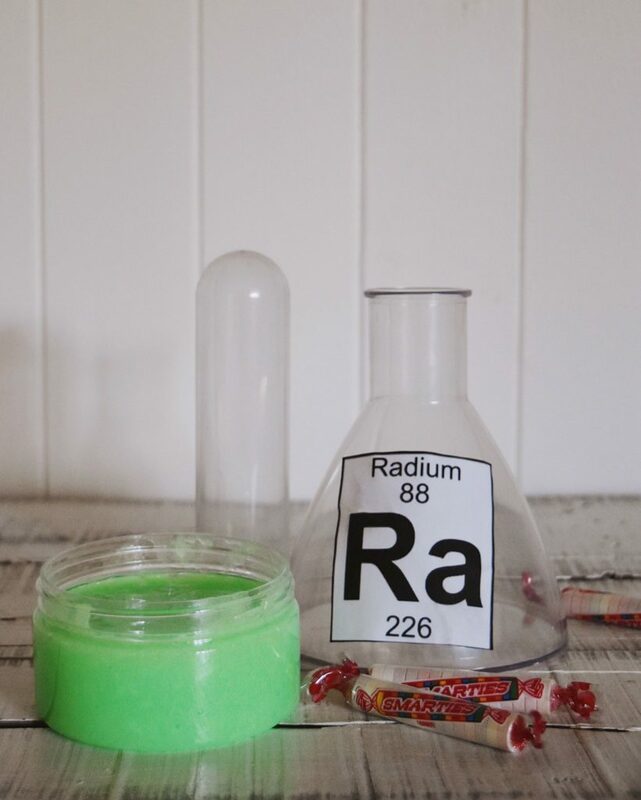 - Take your glow in the dark slime and put it into the beaker and test tube. This is a fun activity to include your child in! - Dress-up time! Start by layering the collared shirt under the black dress and put on the black tights and shoes. - If your child's hair will allow it, pull it back in a little bun. This was the fashion during Marie Curie's time. - Complete the costume with all the accessories! - Put their lab coat on and give them the beaker and test tube of slime to play with. - Take photos because they look adorable and have an awesome Halloween!